Sienna Smith is a yoga teacher, therapist, and owner of Yoga Mountain Studio in Marin County, California. 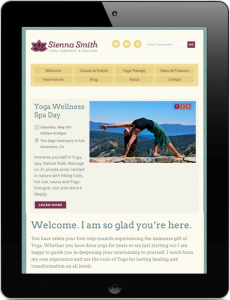 She needed a unique online presence of her own that would highlight her yoga therapy services, teaching schedule, and other projects that she is involved with. Sienna worked with me to create a color palette that is vibrant without being over the top. The welcoming and bright colors are supported by the lotus flower wallpaper and logo we custom-designed for this project. As for the typefaces, we used Arvo for headings and Open Sans for body text. Arvo is a beautiful slab-serif that has a lot of character and class. When combined with the neutral, geometric sans-serif Open Sans, the design takes on a friendly and very legible feel. Sienna is able to update all of the content on her site from any computer with an internet connection. Everything from her special events, weekly classes, homepage slideshow, and all text and images can be updated, added or deleted. WordPress handles all of this heavy lifting, including the blog and photo gallery. 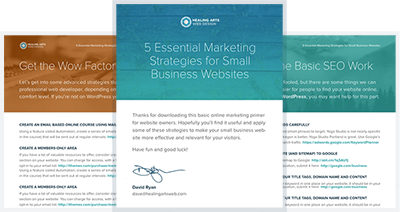 For those of you with more technical knowledge, I used custom post types for weekly classes and the homepage slideshow to make entering data a very simple and pain-free process. Something I am integrating into my workflow is responsive design, meaning having a website adapt to whatever screen or device it is being viewed on. 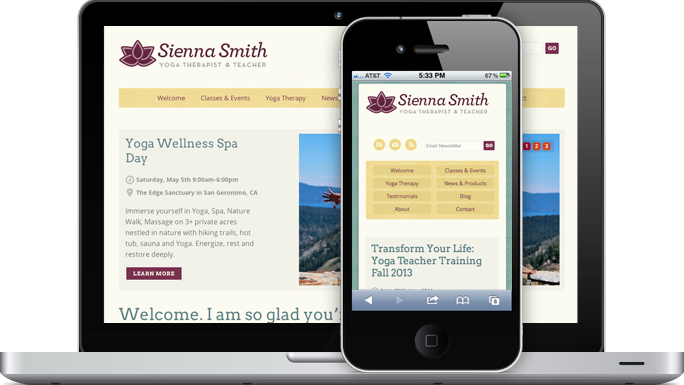 Sienna’s site shifts and changes to make for a better viewing experience on large desktop monitors, small laptop screens, iPads, and iPhones. You can try resizing your browser window on her site to see how the site changes to fit the screen. Ultimately this makes for a much better experience for the visitor and a more professional presentation for my client.